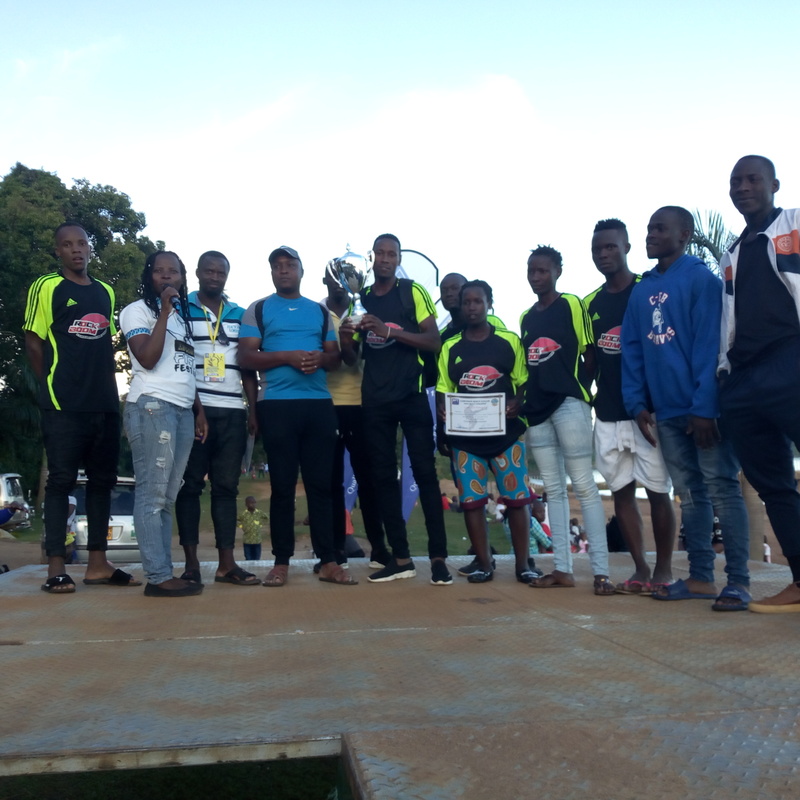 ENTEBBE – Harris international Uganda LTD, a Kawempe-based beverage company, defended their Co-operate Beach Soccer title on Sunday at the Uganda Wild Life Educational Center. 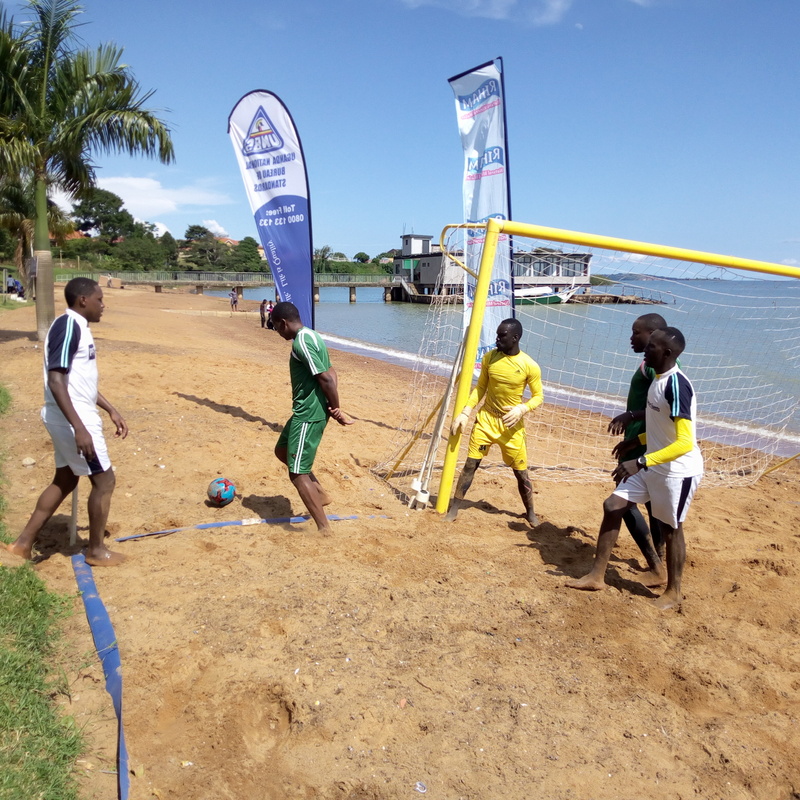 This was the 5th Edition of the one day tournament organized by Perfect Events in partnership with the Uganda Beach soccer Association to promote the game among the elite Class. The one -day 5 aside competition had 11 companies which included Harris international, Uganda Bureau of Standards, Perfect Events, Kazi Gardens, Gorilla Conservation Coffee, GIZ, Uganda Honey, Optimus Events among others. Harris international beat 4:2 Gorilla Conversation Coffee in the finals to emerge winners while Kazi Gardens finished third. Harris International’s Zanowa Faisal was the top scorer with 15 goals. “We have participated in this for the competition for the last 2 years in a row and this time we have broken the seal to take the 2nd position after Harris international and as Gorilla conservation Coffee a Social enterprise we pledge our continued support to promote the sport, said Zikusoka. “This is a great opportunity to bring corporate companies on board that are potential Partners, said Mutabazi. “It helps us to create awareness about the game slowly but surely and we shall be hosting the AFCON beach Soccer in 2020 after Cameroon.